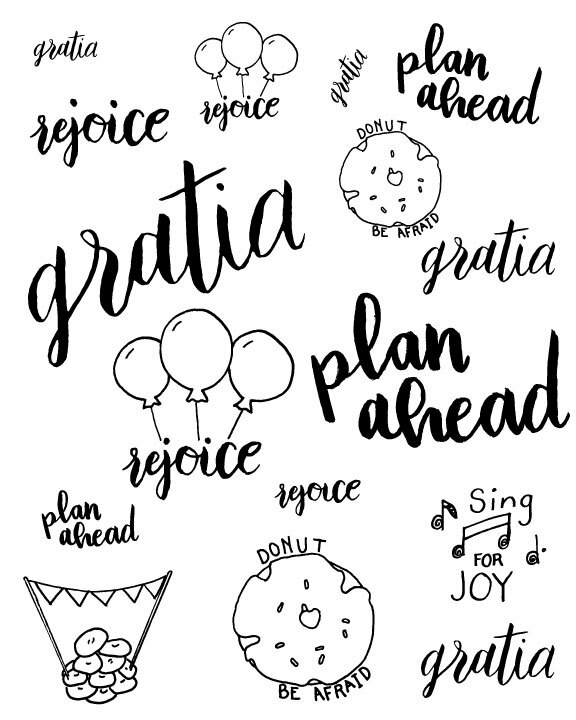 In the spirit of experimentation, I pulled some of my doodles and hand~lettering into Illustrator and PS to make some printable goodies for journaling and such. I'm totally new to this type of thing, so I'm still working out the kinks and learning my way. But I thought I'd share this set of cuties for you to enjoy in the mean time! What I love about this sort of technique of sharing art is that I can basically doodle, paint or draw whatever I want and make it into something useful, practical and shareable! 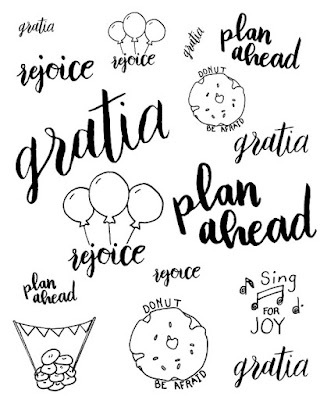 I can't wait to try it out with some of my color work, and some of the sayings that I've painting with watercolors and acrylics. Can't wait to bring some more of my ideas to life as well.